Finally. I have waited ages for this cover, lol. <3 And oh, it is beautiful. I love it. And ack. I just need this book already. Been waiting forever :D But it will be worth it; I'm sure. <3 I just loved book one, Seraphina, so much. And I need to know what happens next. Wishing it was March 10th already. <3 As I need to know more about Phina and Kiggs. And holy crap. It is has been two years since I read Seraphina. Where did the time go? ACK. I need to re-read it. Very, very soon. I think. <3 I cannot wait. As I have forgotten most of it. But not how much I loved it. Which was a lot. So yes. I cannot was for Shadow Scale to come out. <3 And I adore this cover. Sigh. So beautiful. What do you think of the cover? Seraphina. Shadow Scale. Rachel Hartman. Official Reveal Post. The Book Depository. My very old review of Seraphina. SO glad that they've kept the same design with the second book! Another gorgeous cover! Oh wow!! Really beautiful!! I really really need to read Seraphina already cause DRAGONS!! Nuff said! Thanks for sharing this beautiful cover sweetie!! Hey! 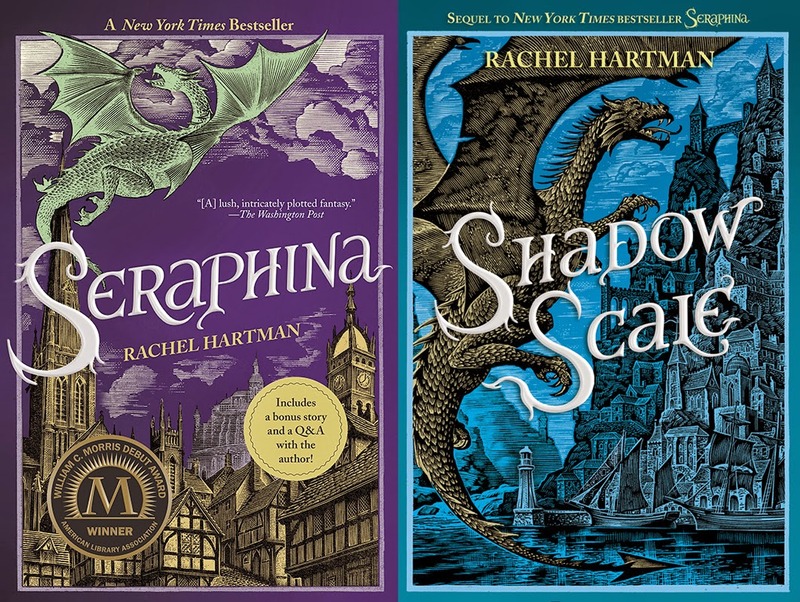 I LOOVE the designs of the covers, half of the reason I picked Seraphina up was because it stood out with its beautiful design, and of course the fact its amazing! I mean, how can you go wrong with dragons on the cover?! 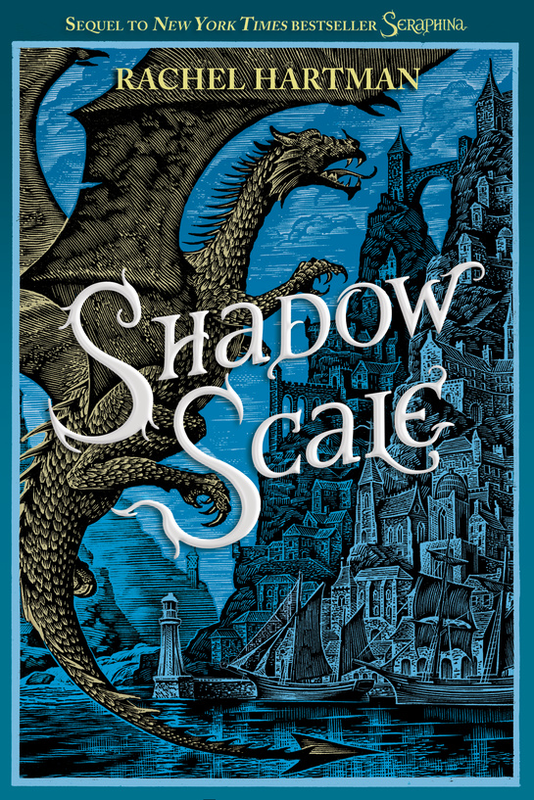 i'm glad I still held off on reading Seraphina because a) the sequel is coming out over 2 years after the first book and b) they did a cover change so now i can buy the new covers! I LOVE LOVE Dragons so this is going to be EXCITING! :D also, THAT COVER! GORGOUS! This series just sounds so amazing! I haven't picked up the first book because I need to make sure a love triangle doesn't pop up in the second book. Fingers crossed. But those covers are gorgeous; thanks for sharing! Such an awesome cover! Love how it looks with the first book. I really need to check out Seraphina sometime soon!